Both the cream and lotion are reinforced, among other natural components lemon, eucalyptus, lemon balm and birch, of Dermolimpiador effect and oil wheat germ, noted for its high vitamin E content, contributing to the formulation of great help in the fight against free radicals and helping to restore balance in areas with excess pigment. Works effectively in removing dark spots on the skin; of aging, sun spots, freckles, cloth, produced by pregnancy or contraceptive use on face, arms, and generally throughout the body. 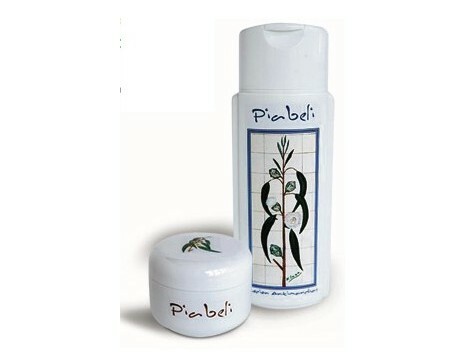 Improves the look and assists in the improvement of many skin problems. Method of application: At night with a light massage. For added effectiveness advised not combine with other cosmetics, avoid long exposure to the sun and eating a balanced diet.